Comfort. Quality. Peace of Mind. Tulsa Modern Dental is a comprehensive dental clinic providing a variety of services including fillings, extractions, dentures, crowns, and teeth cleanings. We have an amazing hygienist who has been practicing in the area for over 20 years and also offer various cosmetic procedures such as bleaching and veneers. It all starts with a consultation, so click here to get started! Go ahead, change dentists! Finally, a dental visit that isn’t dreaded! 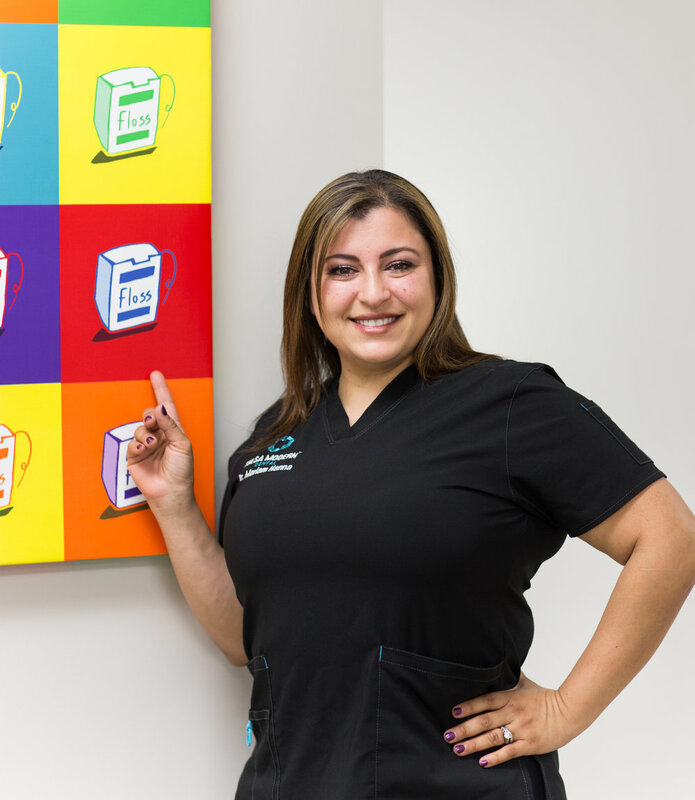 Dr. Hanna, and her entire staff, seem genuinely committed to patient comfort and satisfaction. Very professional and caring group of people. Felt very comfortable the whole time I was there. Would recommend to anyone looking for a wonderful dentist experience. Amazing staff and customer service. Highly recommend this office!!!! I first found them through google reviews and was not disappointed. Such a great experience for being that it’s the dentist office. Dr. Hanna’s office is the best. Compassionate and efficient. I never have to wait to be seen and the staff are friendly and knowledgeable. Overall it was a great experience! Everyone was extremely nice and helpful, they listened carefully to what I had to say and they went the extra mile in their diagnostics. Recommended 100%. At Tulsa Modern Dental one thing comes first—you! We are 100% committed to ensuring that you are comfortable and leave with a smile. Click here to learn more about each of our talented staff. Call Tulsa Modern Dental Today!